Welcome to the January installment of Aquarium Drunkard’s recurring Transmissions podcast, a series of interviews and audio esoterica from Aquarium Drunkard. For our first episode of 2018, we explore three unique stories. 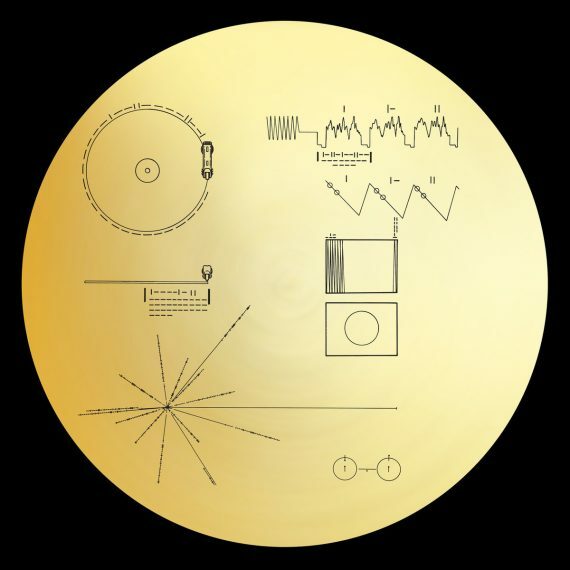 First, we dive into the story of Ozma Records’ new reissue of the Voyager Golden Record. Launched into outer space in 1977 onboard the Voyager space probes, the Golden Record was a sort of cosmic mixtape, designed by a team led by Carl Sagan and Ann Druyan as a representation of life, arts, and culture on Earth. We spoke to co-producer David Pescovitz of Boing Boing from his office at the Institute For the Future about how this new reissue allows us to more fully understand the scope of the Golden Record –and what it has to say to listeners today. 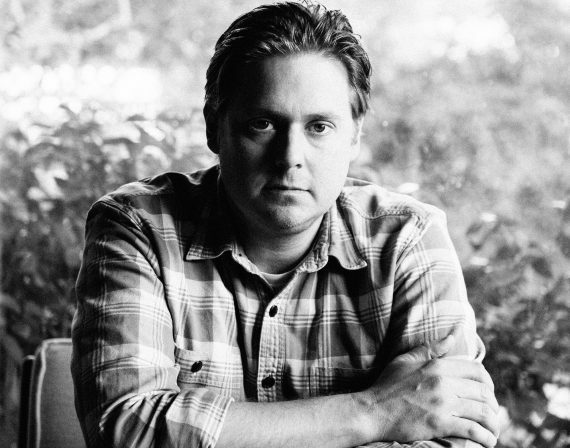 Then, we sit down with comedian, writer, and musician Tim Heidecker. Best know for his work on Tim and Eric Awesome Show – Great Job, Decker, and films like The Comedy, Heidecker is an extraordinarily busy guy: he recently finished The Trial of Tim Heidecker, a part of his meta-comedy saga On Cinema with Gregg Turkington – AKA Neil Hamburger. He’s also got a recent album out, Too Dumb for Suicide, a collection of songs about the president. We dive into his strange, sometimes confusing world. And finally, we close out the show by shining a light on some of our favorite mixtapes from the Aquarium Drunkard archives, The End is at Hand collections, a four-volume series of super-obscure, often private press, outsider psychedelic guitar and folk music from the ‘60s and ‘70s centered around the Jesus People Movement. We’re joined by BlackForrestry – Josh Swartwood and Doug Cooper – who put these mixes together, to investigate the roots and feral faith of these “Jesus Freaks,” whose apocalyptic visions shimmer throughout these mixtapes – and whose faith still speaks to Josh and Doug. In 1977, NASA launched two spacecraft – Voyager 1 and Voyager 2, into outer space. On board each was a Golden Record, containing a message for any intelligent lifeforms that may encounter the craft about the people of Earth, a sort of interstellar mixtape, featuring sounds of Earth – from birds, babies crying, and a kiss – to Bach, Beethoven, Chuck Berry, Blind Willie Johnson, and many more. These records were the work of a dedicated team, including astronomer and author Carl Sagan, SETI founder Frank Drake, writer and novelist Ann Druyan, science journalist Timothy Ferris, designer Jon Lomberg and artist Linda Salzman Sagan. In the late 1960s, as the counterculture was expanding, and eventually, imploding, a new strain of Christianity emerged: the Jesus People Movement. 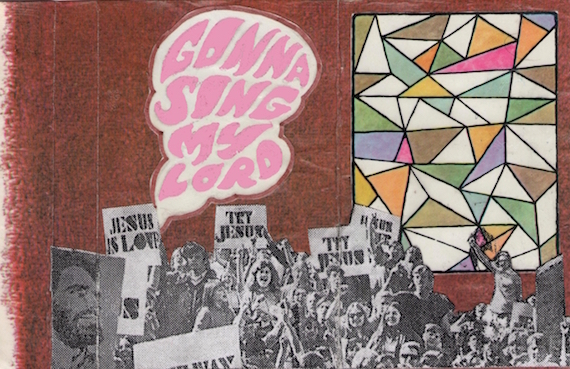 Often practiced by longhaired disciples, this Evangelical movement had its own music, which incorporated elements of psychedelia into its gospel message. This music is the subject of a three-volume mixtape series on Aquarium Drunkard: The End Is at Hand. In the beginning, this music was distributed on small labels or privately pressed, but eventually, this scene grew into the contemporary Christian music genre, a far glossier and pop-focused outgrowth. But the best of these early, homespun recordings tap into something devotional — music made by the faithful to reach the faithful and doubters alike. 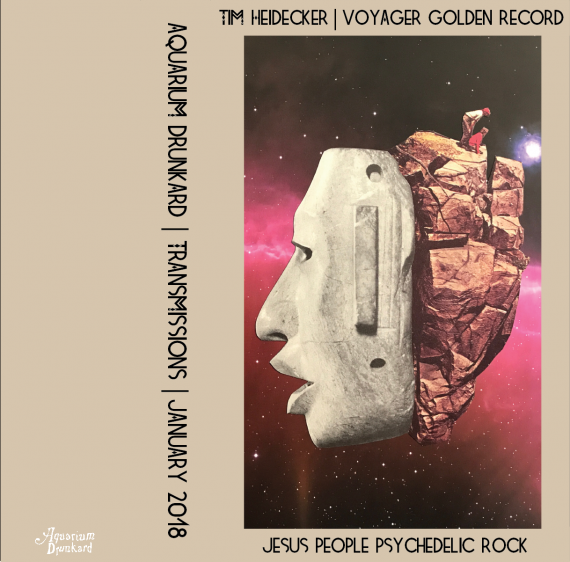 We’re joined by the guys who assembled these tapes for Aquarium Drunkard, Josh Swartwood and Doug Cooper, to unpack the “experiential and mystical” elements of the Jesus Freaks, and what draws them to the “wild, raw, and real” sounds of their music. Subscribe to the Aquarium Drunkard podcast on iTunes, on Spotify, or via the RSS feed. Collage image by Michael J. Hentz; Tim Heidecker photo by Carra Robbins. Wow! Three great topics in one transmission. I first found out about AD from a tweet by Eric Wareheim in 2012 so seeing Tim on here is really coming full circle. Hey David, thanks for the note. We’ll get the podcast added to Stitcher in the coming weeks. For now, you can listen via a variety of platforms, including Mixcloud, TuneIn, Apple Podcasts, Spotify, and of course here on the site, where you can download and listen however you like. Thanks for the note!